This may seem like an odd question, but when I fall asleep while taking notes in class, I don’t stop writing. I keep writing. Which creates some interesting notes. I was telling my friend about it and she thought it was really weird. However I have been doing this since middle school. So, what happens when you dose off? Any funny notes? Or am I just a weirdo? Maybe it’s like sleep walking.I knew someone who made a ham sandwich while asleep.Anything is possible ;)—the idea of it is fascinating—You could get so much done!lol! I used to eat my peanut butter and jelly while asleep at the lunch table at home when I was 3 or 4 and didn’t have a nap. I walk up with an odd looking mark on my face from falling asleep on the metal spiral part of my notebook. Thanks for the best laugh I’ve had all day. I have never heard of this before, but it is absolutely hilarious. 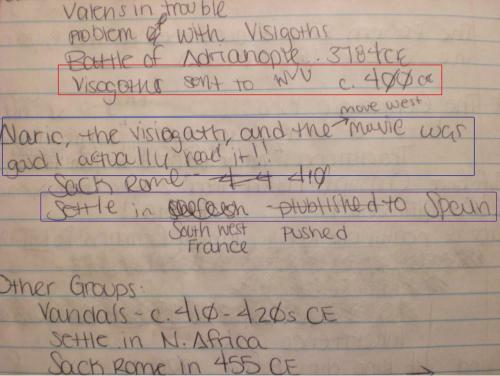 When I fell asleep while taking notes, the only that happened was me drooling all over the notes. @lucillelucillelucille a friend told me I should practice some how so I could decode my dreams. However I doubt that, since what I write is already cryptic to begin with. @jeffgoldblumsprivatefacilities Glad I could make you laugh! Am I really alone here? That’s what happens at a party school. I think you’re alone on this one. But you have cute handwriting. I have definitely continued to write after falling asleep in class. I have always been determined not to sleep in class, so it’s only happened a few times after many weeks of intense sleep deprivation. On those days, I take extra notes to try to keep myself awake, and the line between waking and sleeping becomes very blurred. I will think I am awake, and thus will continue to take notes even though I am actually asleep. I usually end up writing about whatever I’m starting to dream while I think I’m still listening to the prof. I’ll snap out of it and see my dream thoughts on the paper instead of what the prof was saying. One time, I fell asleep while taking notes in calc 2. I remember staring hard at the board, and having terrible difficulty making out what it said. I would stare at the board, find the place I had left off, and write down the next little bit. I could only get a few characters at a time, because I was so tired that that was all I could remember. Then I would have to try to find my place again, which was unusually difficult. Suddenly I snapped out of it (I really had no idea that I had been sleeping, because I was conscious of all that I just said), and I looked at my notes, and they were not what was on the board. They consisted entirely of some strange conglomeration of Greek letters. I was incredibly confused. I’ve done that. It’s usually when I’m struggling to stay awake at all costs. The handwriting will get kind of scrawly, but I’ve definitely started dreaming and writing the dream. 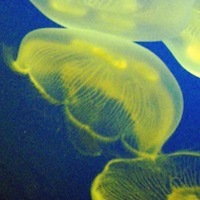 @IBERnineD -I would try it just to see.If I did that ,I’d have to experiment with it! @wundayatta yeah the handwriting at the bottom of the page is a lot neater than the handwriting I highlighted. actuallllly this happens VERY frequently to me not that I’m proud, just a tired student . I keep writing as well, except that my letters get sooooo tiny and I write the wrong letters to what I’m trying to spell. It gets worse as I keep writing cause I know I’ve written the wrong word/letters so I try and cross them out and write it again but it becomes a viscous cycle of horrible penmanship until it becomes a series of straight lines that I thought were words. I haven’t slept in class lately so I have no fresh examples. My writing gets smaller and smaller, and strange words from half-dreams creep in to replace what I thought I was writing, so that even if I can read it, it doesn’t make any sense. @Grisaille, it’s hilarious, but not much use when you’re reviewing your notes before an exam. I had this happen quite a bit in med school. But my sleep notes were mostly scribbles with some random medical terms spread around. I thought I was the only one! @sevenfourteen sometimes you can’t help it. That’s why you make up for it stydying at home. @sevenfourteen actually I didn´t really party all that much during med school and even when I did it was usually on weekends. However I did help out at a few clinics with mom and other doctor friends to get some hands on experience. Long nights. If i could do this i would be set because im always sleeping in my english class. I know this was posted a very long time ago, but a friend of mine has reminded me of this, and I wanted to write about it. I was thinking of starting a blog where people could submit photos of their notes while falling asleep with any description they’d like. Any ideas or anyone interested? I know I’m an uber-nerd and love the topic! I simply don’t take notes very often anymore. Anyone know of another web-discussion of this topic? @terrydassow That’s an interesting idea. If you want to get more responses, you could ask this question to everyone on Fluther rather than asking at the bottom of this thread. Go to Fluther’s homepage, click on “Ask Fluther,” and it will walk you through the steps of asking a question. How do I tell my teacher her class is boring? How can I politely refuse to give my class notes to someone? How can I take detailed notes efficiently and accurately? Is it rude to not take notes during class? Where can I buy Boorum & Pease notebooks for less?